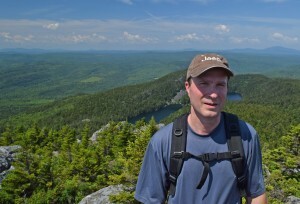 If you like hiking to special places in Maine with mature forest and mountain top views there are many places to see. When in the area of Monson and Greenville, Maine take a drive down the Elliotsville Road and visit the Borestone Mountain Audubon Sanctuary. The 1,600 wilderness area is accessed from Bodfish Road in Eilliotsville, Maine. From the parking area you have two choices to hike up to the visitor center at Sunrise Pond. You can take the access road or hike the base trail. 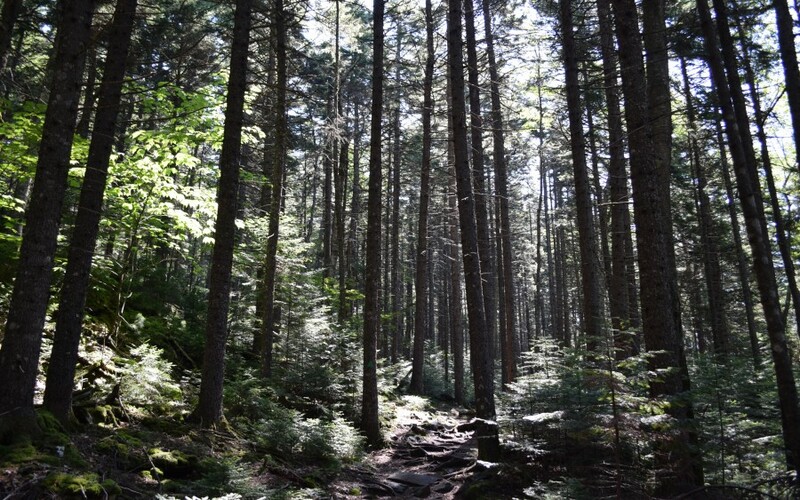 Take the base trail up to see the large spruce forest and impressive trail work with stone steps over a well marked trail. From Sunrise Pond the summit trail ascends Borestone Mountain over a well maintained trail. The trail is about 1 mile to the summit. Along the way admire the work of volunteers who have placed many stone steps to avoid trail erosion and add to the enjoyment of the hike. 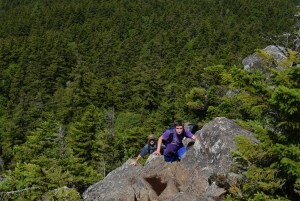 The trail has a few steep inclines and some mild scrambling through rocky ledges. About 7/10ths of a mile along the trail you will come to the west summit of Borestone Mountain. The views of Sunrise, Midday and Sunset Ponds are impressive. Hiking another 3/10ths of mile will bring you to the east summit. The summits of Borestone reward you with great views of many lakes and ponds. Lake Onawa to the north of the mountain is set in the foreground. 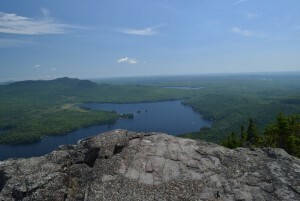 Also visible are the Greenwoods Ponds and Sebec Lake to the east.